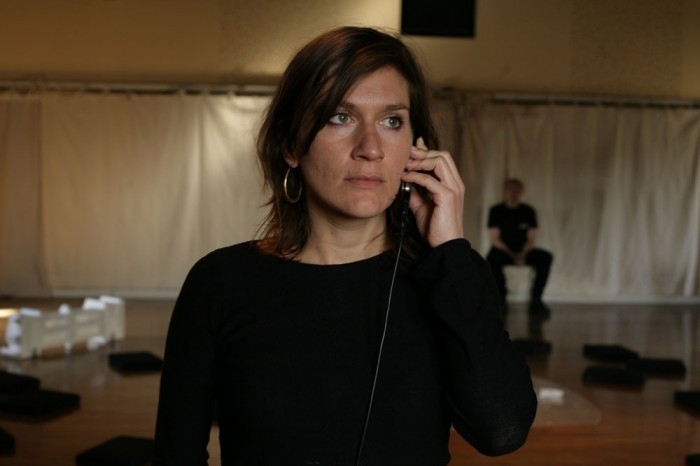 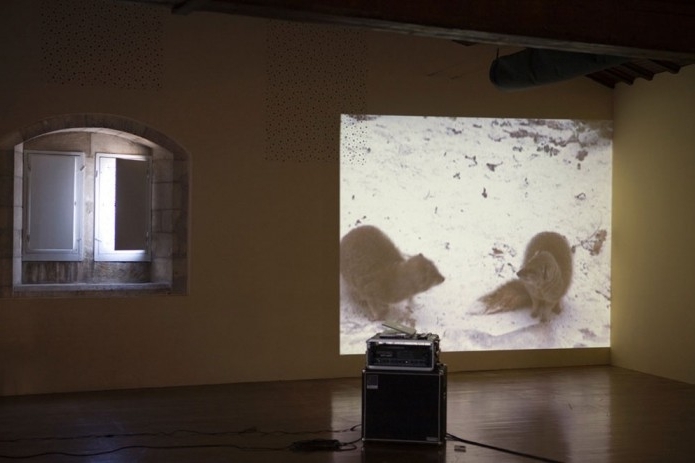 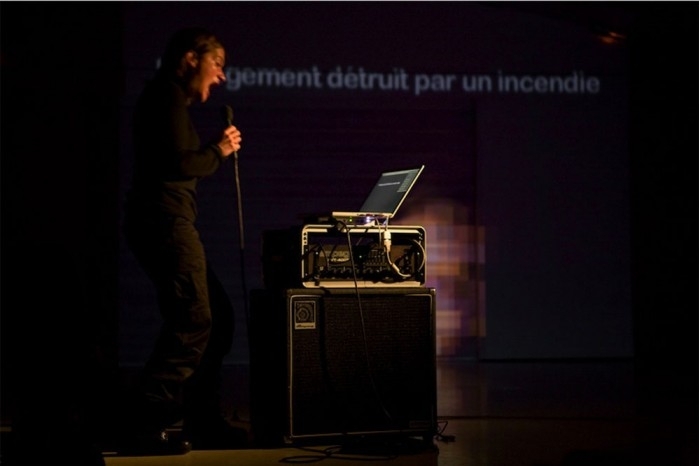 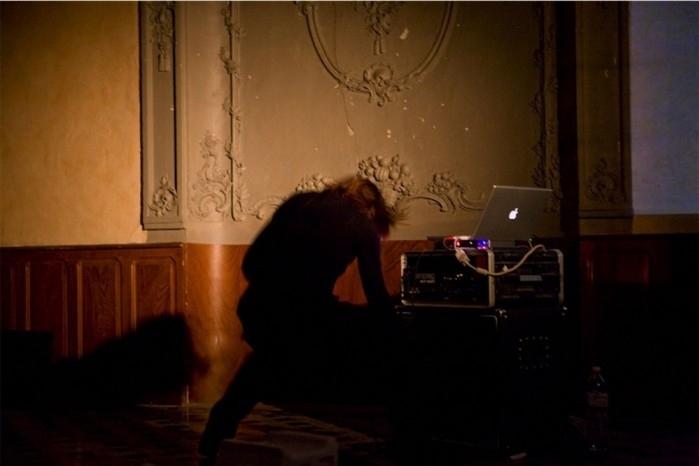 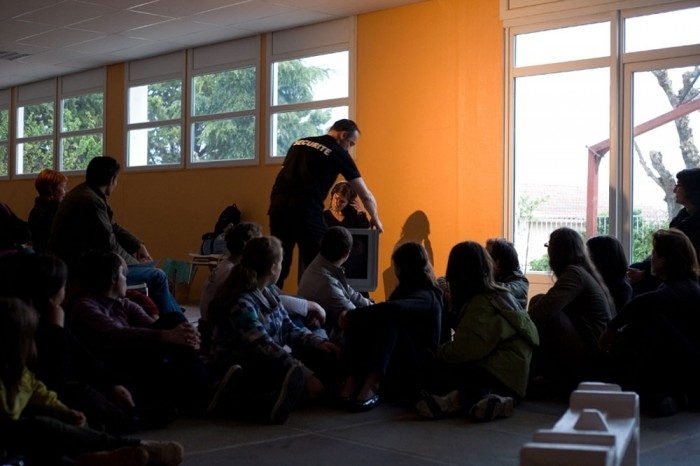 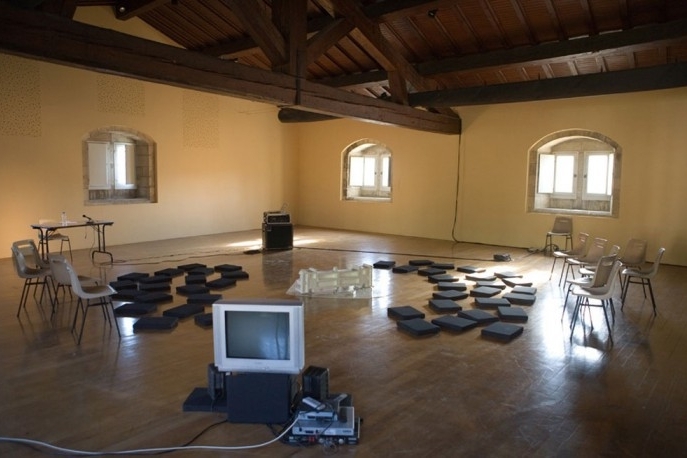 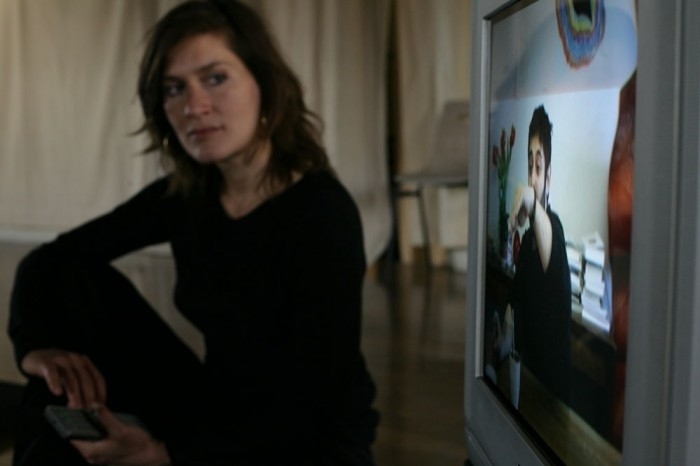 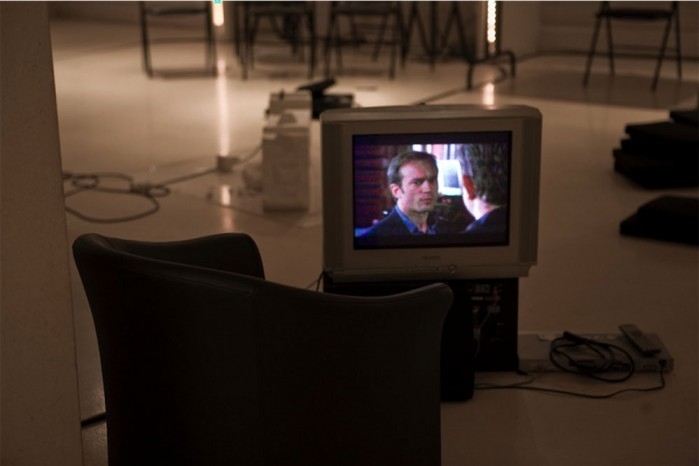 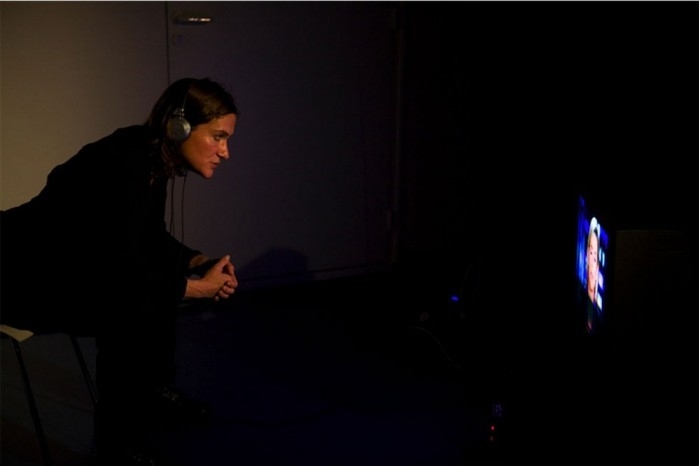 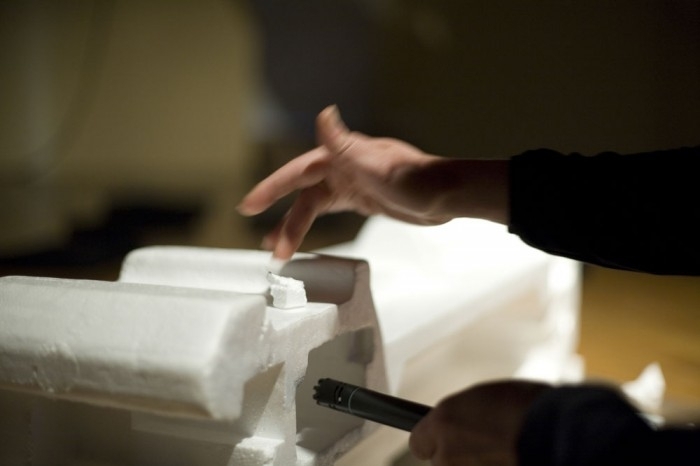 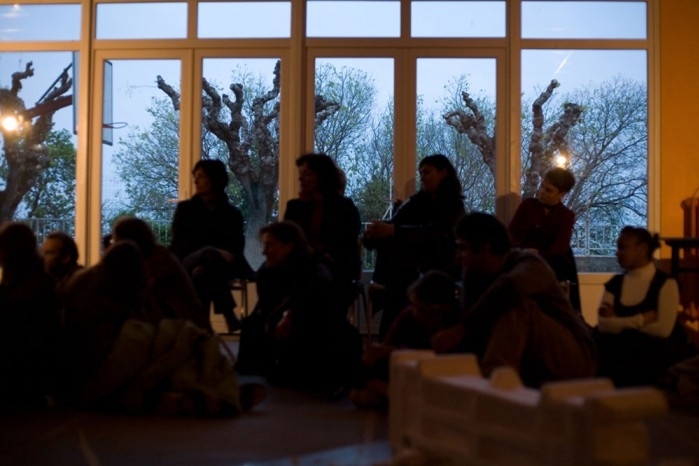 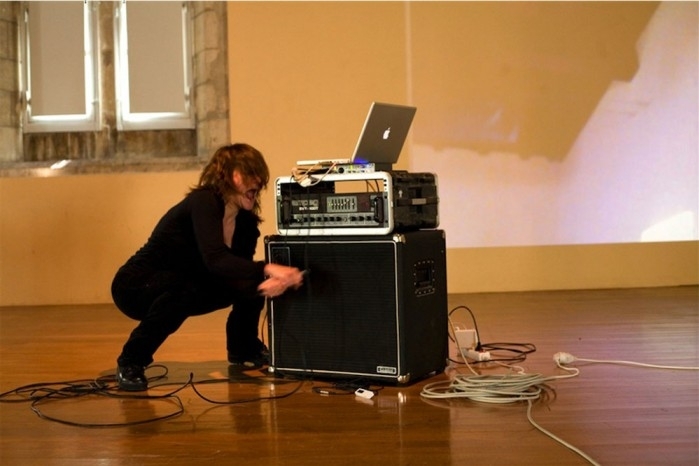 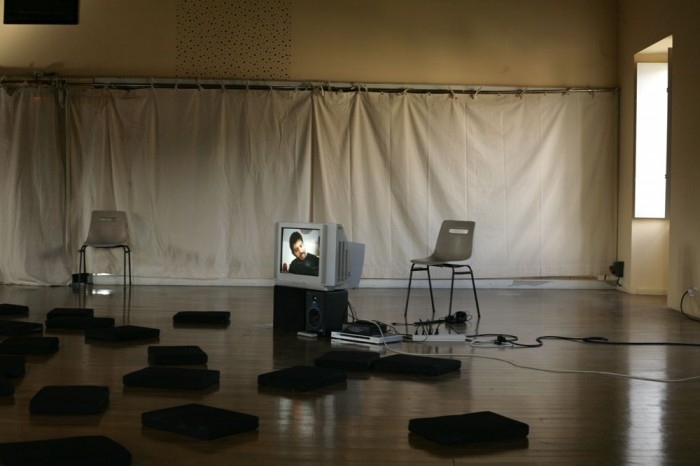 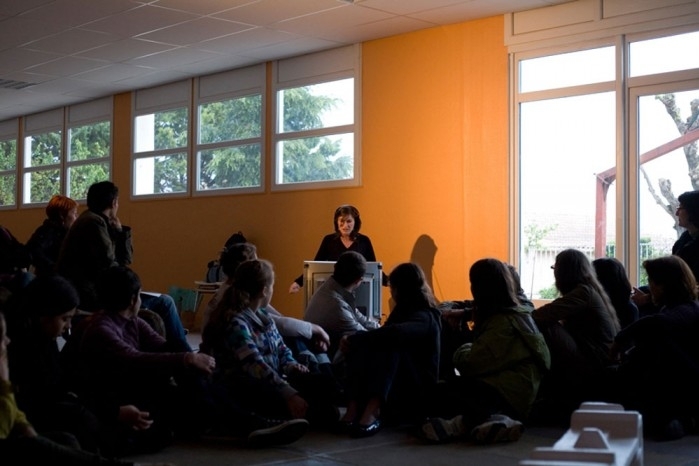 These seven performances were created with five invited artists: David Beytelmann, Juliette Fontaine, Noëlle Renaude, Jean-François Robardet and Esther Salmona. 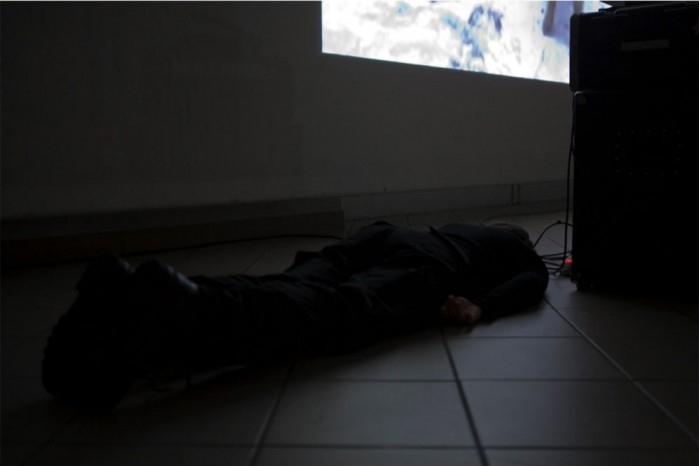 Each of them adresses a relation to an outside, by the way of a specific protocol and apparatus : following a TV flow word by word (Close Circuit), interview about immigration with a french/argentinian philosopher, absurd lecture about homeless people, landscape described in real time thru the phone, sonic simulation of a catastrophe (Frost), etc. 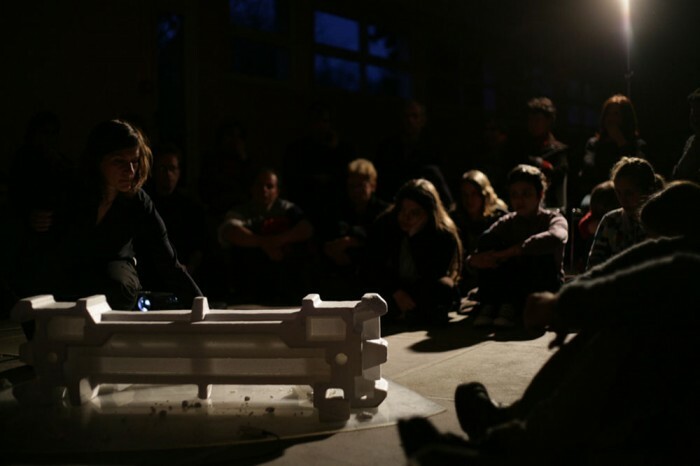 The performer and the audience share the same space, in a global apparatus that is reconfigured for each venue. 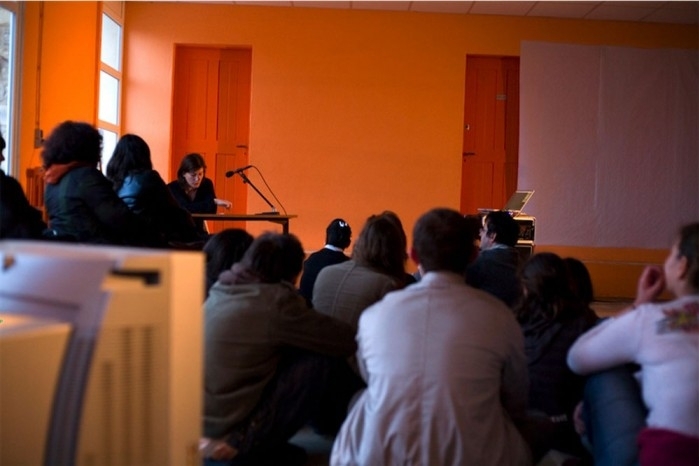 This “theatre of operations” is part and parcel of an overall approach questioning the relations between writing, visual arts and performance: apparatus, relations with the audience, critical choice of performance venues. 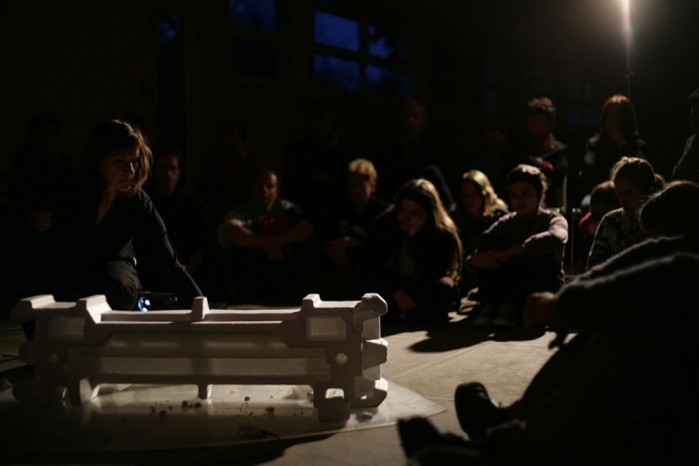 The series Outside Lectures is composed by the performances: Closed circuit, Foreign Office (guest author David Beytelmann), The Right Distance (guest author Noëlle Renaude), Ready mix (with Esther Salmona), Residency, Frost (with Jean-François Robardet), Sentinel (guest artist Juliette Fontaine). 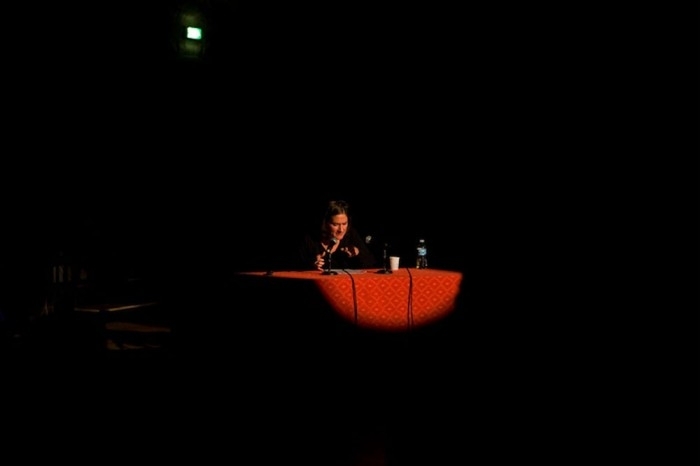 Photographs by Frédéric Nauczyciel and Alexandre Nollet.